Want to be a part of the fastest growing sport in America? Whether you’re just getting started or looking for an opportunity to showcase your skills and play in college, players of all skill levels are welcome to join us at any point during the season. 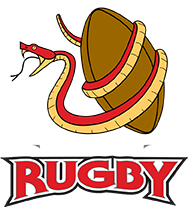 As one of the premiere rugby clubs in the triangle, Raleigh Rugby boasts its own, gorgeous, Bermuda grass facilities, and a family of other teams to help groom you into the best rugby player you can be. Join the movement and be a part of the newest Olympic sport. Football teams that implement rugby style tackling not only have a lower missed tackle percentage, but also less concussions. Check out the Seattle Seahawks. Holiday breaks will be communicated during season. 15s Season dues are $250 total. Dues may be paid through our website. This will cover your player through July of 2019 as well as include CIPP registration and liability with USA Rugby. If you have trouble paying, please reach out to the youth director to make arrangements. Full and partial scholarships are available to those in need. Interested players are welcome to come check out a few practices before signing-up. To register, please visit our player registration page or for more info, contact us. Players will need black rugby shorts, soccer/rugby cleats, a mouth guard and a warm-up shirt. Discount gear and warm-up shirt that can purchased at our online store on worldrugbyshop.com.